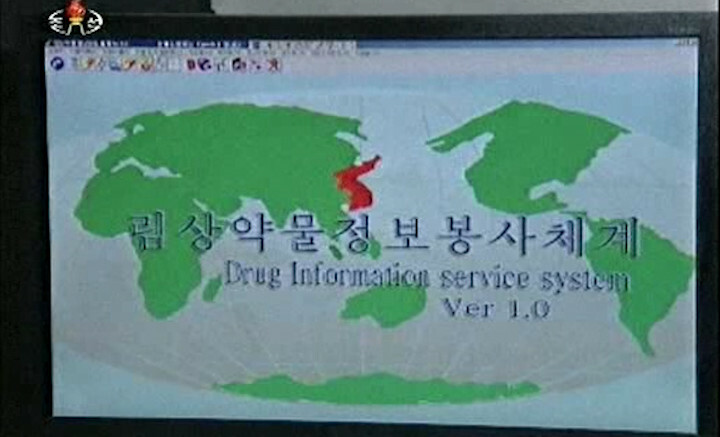 Pyongyang Medical College Hospital at Kim Il Sung University has developed a database of thousands of drugs, according to North Korean TV and radio reports. 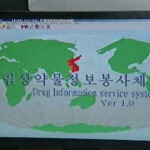 The “clinical medicine information service system” contains details on 12,000 pharmaceuticals and 154,000 kinds of medicines from more than 50 countries, according to a report carried by Voice of Korea. 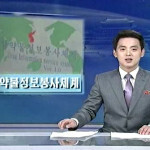 “It has also more than 15,000 words for search concerning indications, side-effects and contra-indications so that everyone can freely search information on medicines on their basis,” VOK said in its report. 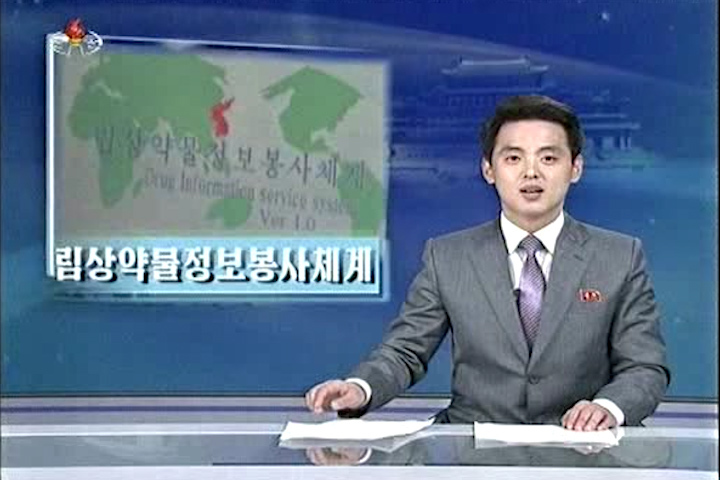 A 90-second report on the system also made the Tuesday evening TV news (below), but I haven’t see a KCNA article about it yet. 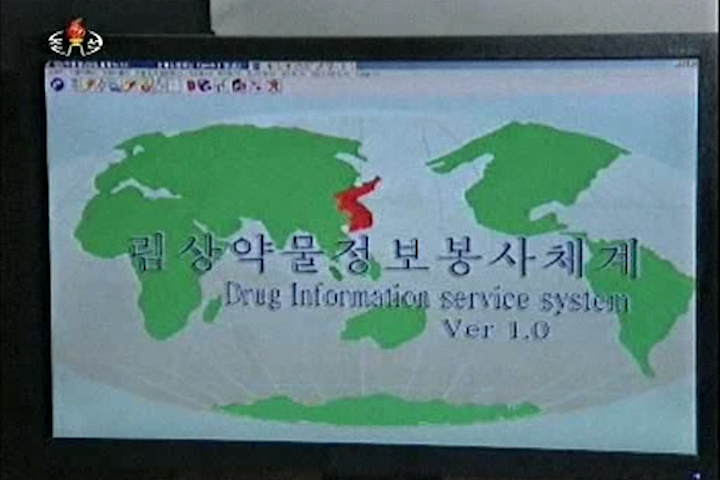 From the looks of the system in the TV report, it’s based around a software program running on Windows that either runs from a local (likely) or network database. It’s not a fully online service that runs through a browser. 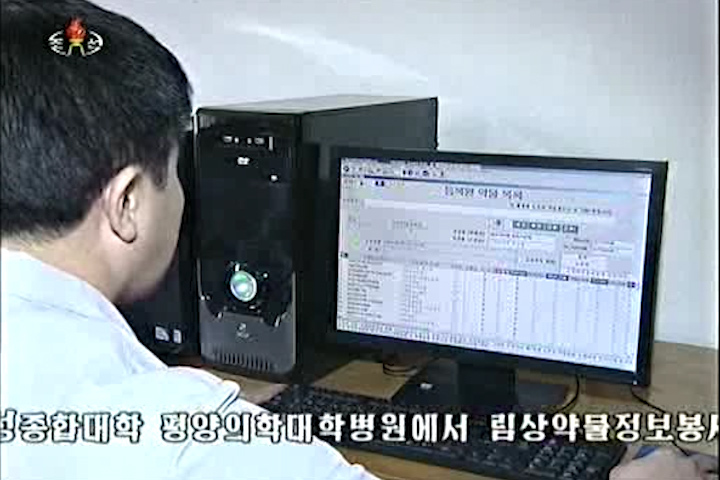 Kim Jong Il Inspects E-Library at Kim Il Sung Univ. 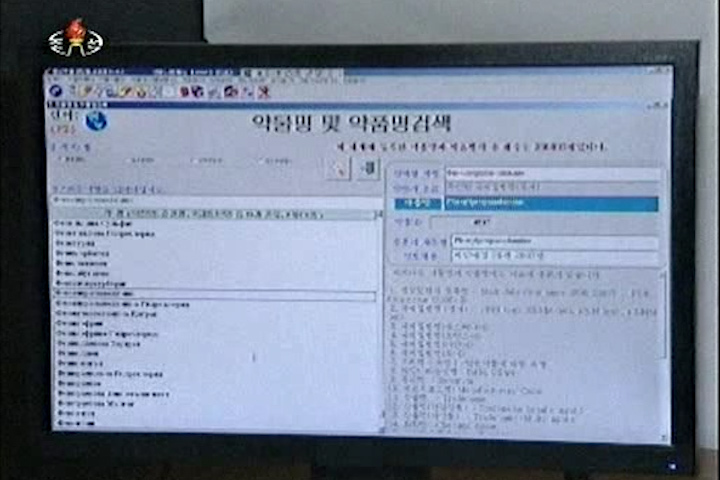 2 Comments on "Medicine database developed at Pyongyang Medical College Hospital"
Most of the software we see running on PCs in the DPRK is on Windows XP. I haven’t heard much about Red Star for a few years, although I do have a copy here!